After technical difficulties and busy travel schedules squashed last week's show, Anthony and I are back for another go-round Inside The Mouse Castle. 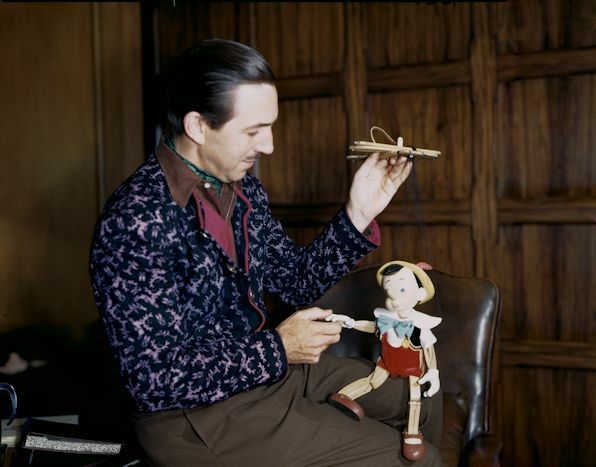 We start off with my review of Walt Disney, the new American Experience documentary airing this week on PBS. It's an earnest, if somewhat biased, depiction of Walt's life that plays up the darker elements of his personality and career. Fans will appreciate the rare photographs and archival footage, while Disney history buffs will question how the film presents Walt's relationship with his father, his actions during the 1941 studio strike and the assorted psychobabble spouted by some of the "experts" who try to crawl inside Walt's head. A live action Frozen stage show will replace the long-running Disney's Aladdin--A Musical Spectacular production in the Hyperion Theater at Disney California Adventure...and the Internet loses its mind. Meanwhile, Anthony was totally amused by this video of Kelsey Grammer falling off the Hyperion Theater stage in 2005. We now know for certain that Disneyland and Walt Disney World will break ground on their Star Wars-Land expansions next year. That means the Osborne Family Spectacle of Dancing Lights, the popular holiday light show at Disney's Hollywood Studios will blink out after this year. Director Brad Bird has let it be known that work on Incredibles 2 is moving along briskly, so well that it will likely be released before the other Pixar sequel, Cars 3. That still means it probably won't be out until 2018, but any news about The Incredibles is good news. Disney Infinity 3.0 will be available on Apple TV after the streaming service undergoes an extensive update in October. Some participants in this month's Disneyland Half-Marathon complained of incorrect corral assignments, suggesting there are proof-of-time security issues with RunDisney and TrackShack. There will no longer be chanting allowed at Walt Disney World. Unofficially, of course.